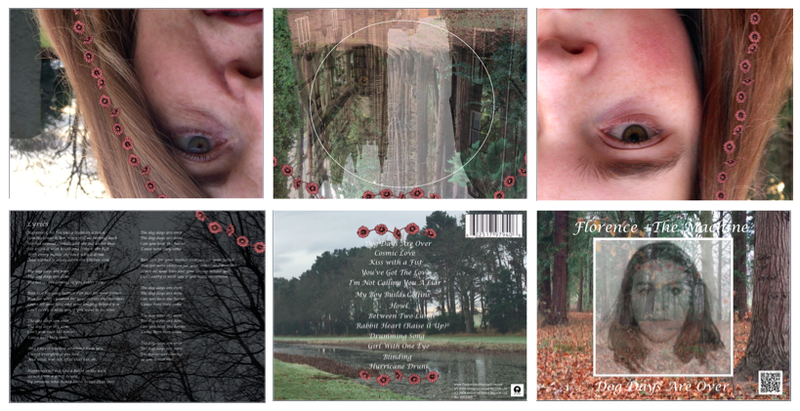 Above is a mock-up of what I desire my final digipak to in someway end up looking. There are aspects that are missing such as the spine and for my final this will be added. The flowers that are seen on ever side of the digipak are also going to be changed to red roses however I have to get round told drawing and scanning the final design onto my laptop. I also realise that the size of some of the sizes are off and this will need to be fixed. After taking a second look at my font choice I have realised that I am unhappy with the way it looks in harmony with the artwork. This is something I will have to look back at again and explore new options in order to make the text flow with the chosen mis en scene. However over all I am happy with the outcome of the mock-up digipak and am happy with the way the music video ties in nicely with the over all theme for the digipak.